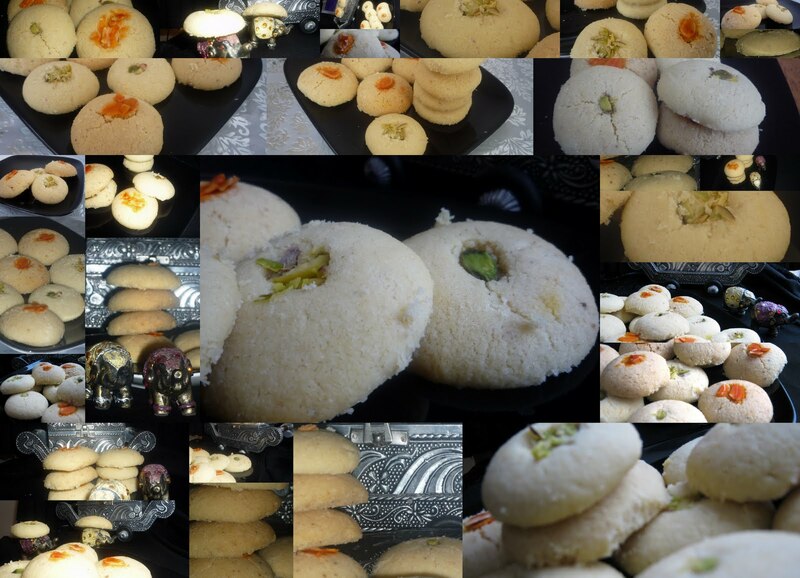 Jagruti's Cooking Odyssey: Mango Peda and Nan Khatai - Double Celebrations and Double Treats ! 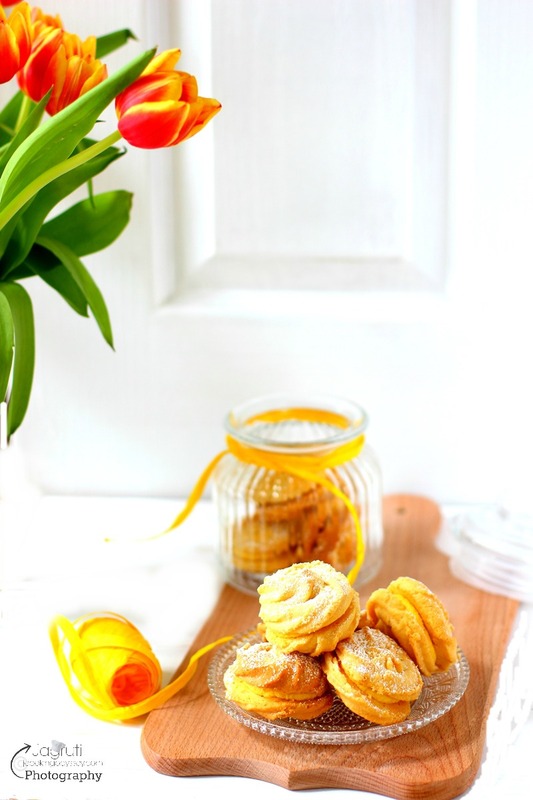 Mango Peda and Nan Khatai - Double Celebrations and Double Treats ! In a non stick pan heat ghee and add Mango pulp and stir until Mango Pulp becomes little thicker. Leave it a side..In another non stick pan add coconut and Milk powder and roast on a very low heat about 4-5 minutes..make sure it doesn't stick or burn. Now add thicken mango pulp, cream and Sugar and fry the mixture till it becomes a one mass and you can see Ghee leaving the pan. Let it cool completely. Now take small amount of mixture, make small balls and give them a shape of your choice. Great Post!! Happy birthday to Kana and Yash. Coming to yours for prashad!! that's so quick...@Mina, come on when r u coming? Happy Janmashtami to you and your family! Birthday wishes to Yash... Delightful treats. Gorgeous clicks. Hi Jagruti, My birthday wishes to your son..hope you are doing good. Happy Birthday to Yash !! Good way to celebrate the birthday's. Loved the peda's and pics !! 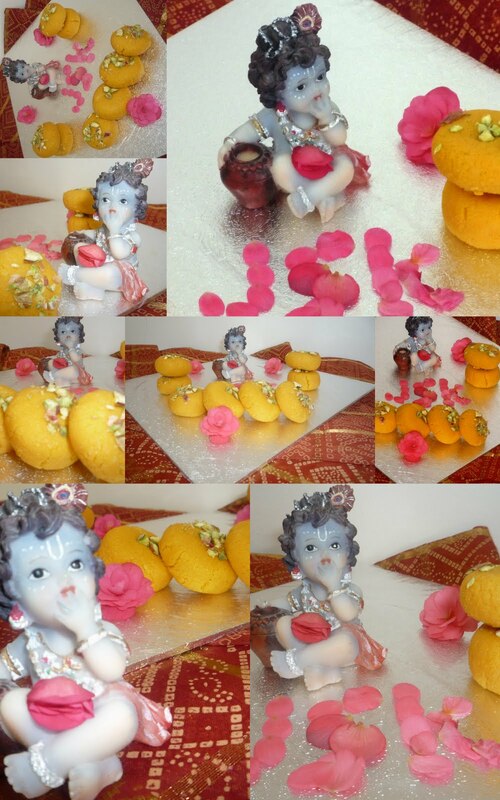 V cute krishna n my b'day wishes 2 ur son! Wishing a very happy birthday to Yash. and I must say, you really have a lot of patience and you are very creative. Wow such lovely photographs...where do you find time from...Happy Janmashtami..
Woww wat a beautiful pedas and nankhattais, awesome work...My birthday wishes to ur son dear..
Lovely clicks! I loved the li'l Krishna idol. Happy B'day to yr son! 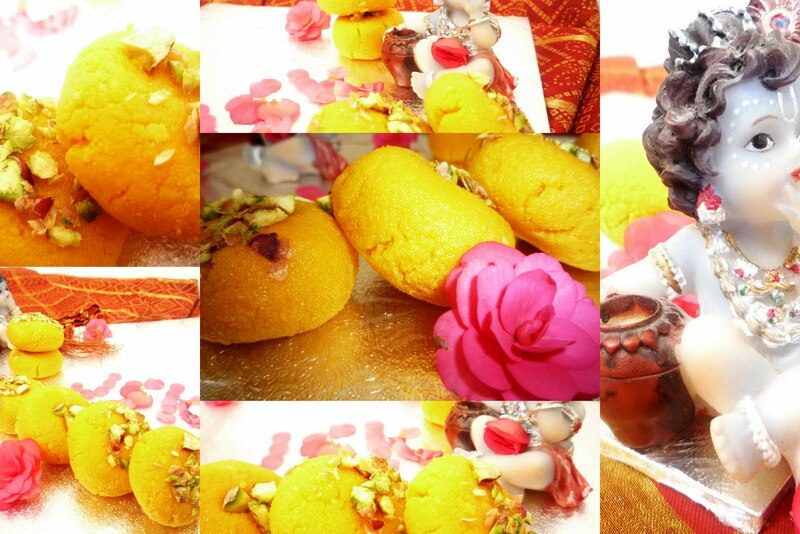 I love your bal gopal idol too, too cute and what mouth watering peda and nan khatai recipes. Delish !!! Looks yuumy treats.. Happy krishan janmasthmi. Happy b'day to your son yash. happy bday to your son jagruti..lovely pedas and nankhatai..and bal gopal looks so cute ! These look wonderful! 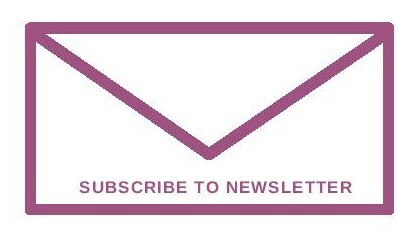 Thank you so much for sharing these at my blog. Happy Janmashtmi! WOW Jagruthi,Balakrishna is looking so cute as well as your peda's and nankatai looks very delicious and colourful..Happy B'day to yash and Happy Janmashtami to you and your family..
Kindly advice the measurement of sugar in the recipe of Nankhataee? Yummy Pedas and Delicious Nankhatais!!!! Belated Bday Wishes to Yash!! !